Whether you are a Home user or a Business user using a local area network with just two computers or a complex business network spanning multiple offices, Arron Services support solutions are designed to meet your needs. Arron Services Limited is a provider of PC Support solutions for businesses and private individuals. Why upgrade your system to Windows 10 ? Here at Arron Services Ltd we offer both Home and Business network support. We have highly trained staff in both disciplines. Our experienced network design consultants can provide you with a new network that will protect your investment and support the delivery of new applications for many years to come. Our aim is to ensure that we bring you appropriate and productive solutions that precisely answer your business needs. Some solutions which we will be able to help with include: remote access, mobile communications, wireless networks, VPN’s, PC roll outs, network consultancy and network optimisation. We have been installing structured cabling for over 10 years and have been accredited “Authorised Molex Installer”, during which time we have kept abreast of the latest developments, changes in standards and installation practices. This ensures that our customers always receive an up-to-date, first class cabling infrastructure that not only meets their immediate needs, but also those of the future. We are able to offer dedicated space for your own Server Hosting and immediate on site support, ask for further details. 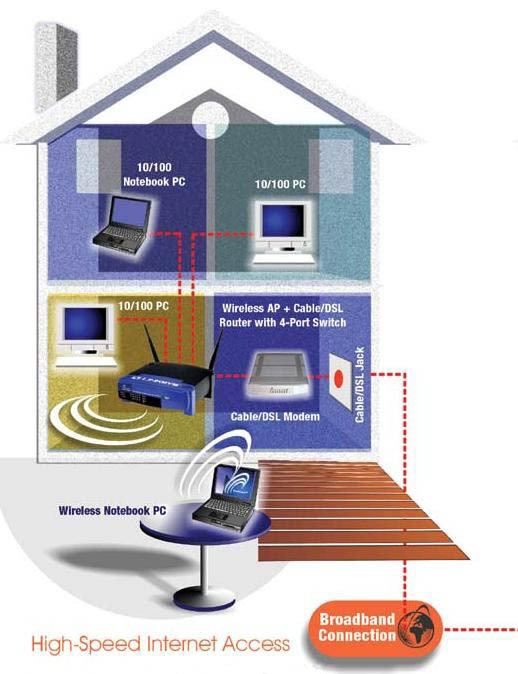 Here at Arron Services we are experts in both home networks and business networks. Our highly trained staff are able to help you with any networking installation and support solutions. With the wealth of experience we offer, you can be confident that we'll meet your needs.